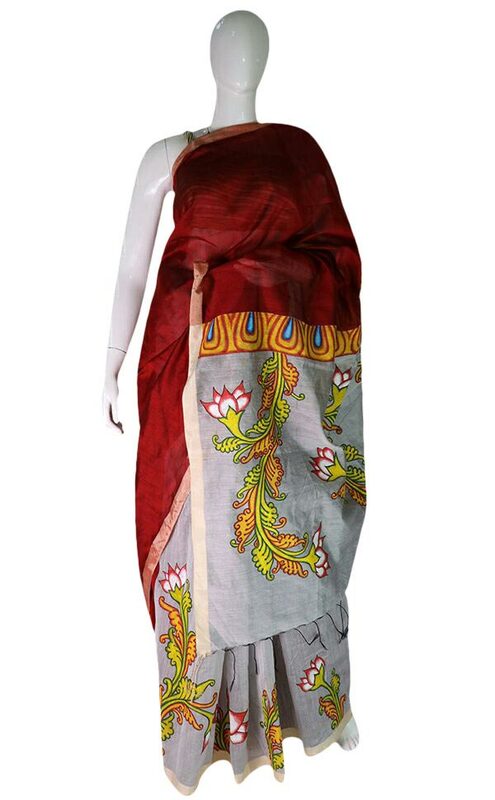 This elegant saree has perfect modern and ethnic blend. The body of the saree has elegant maroon and grey colour with suiting border. 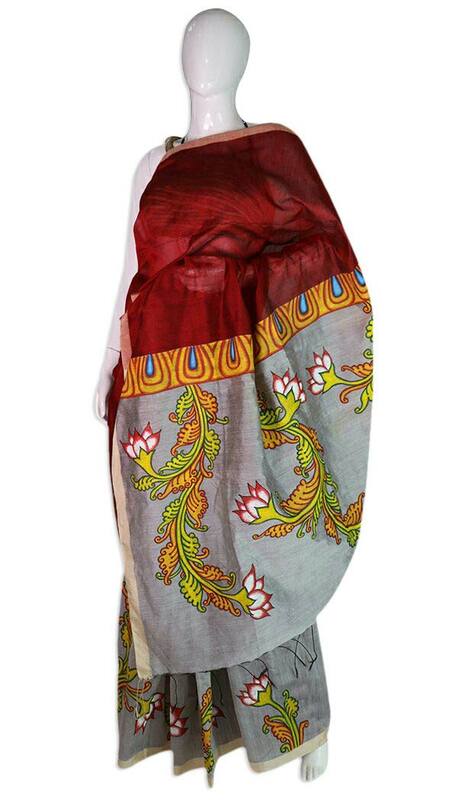 The body has mural painted design.The Saree comes with matching blouse piece. Ideal to suit the best occasions in your life.